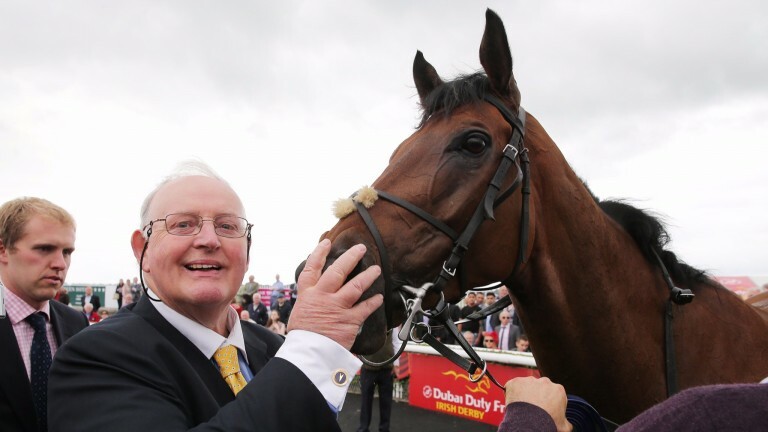 Gordon Lord Byron, the grand old warrior of Irish Flat racing, returns to the Curragh, the scene of four of his 16 wins and on the occasion of his 75th racecourse appearance. The remarkable nine-year-old has won Group 1 events in Britain, France and Australia in his long career and has already scored this season in the Group 2 Weatherbys Ireland Greenlands Stakes over this course and distance. He reverts to six furlongs having run fourth in the Group 3 Ballycorus Stakes over seven furlongs at Leopardstown 16 days ago. That Greenlands Stakes win means Chris Hayes's mount carries a 7lb penalty in this race. His five rivals include Only Mine, who finished second to Gordon Lord Byron in the Greenlands but ahead of him when losing out by a head in the Ballycorus. Trained by Joe Murphy, Only Mine won at Group 3 level last season and there are two other Pattern winners among Gordon Lord Byron's rivals – Herald The Dawn, who will be making his first appearance of the season, and Moviesta. He's in very good form. Hopefully the ground will continue to dry because if it went the other way it would make it tougher for him having to give weight all round. She's very well and if she runs to her best she should have a great chance. Her last two runs were good. She's in good form and, while she has a bit to find on official ratings, we'll be delighted if she can earn some black type.